Tuesday, May 9, 2017 — Donna Paff, author of A Visit From Miss Marvin, will be at the Ernest Hemingway Home and Museum in Key West signing copies of her book and meeting visitors next Tuesday. The Museum invited Donna to hold a signing at the historic property after the book became a popular item in their store. 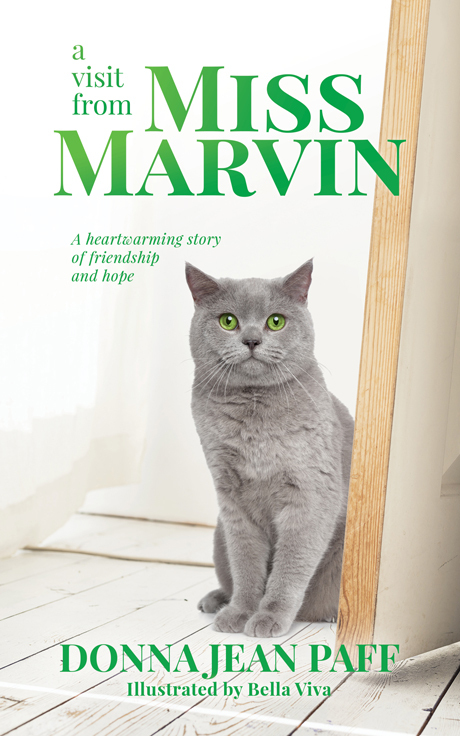 Miss Marvin tells the story of a polydactyl cat who brings joy to the residents of a retirement home. The Hemingway Home is known for having numerous polydactyl cats living on the property. For more information, visit http://www.hemingwayhome.com.